Want to be notified of new releases in GeneaLabs/laravel-caffeine? To achieve this, we are sending a caffeine-drip (a request at regular intervals) to keep the session from timing out. This is only implemented on pages with a _token field, so all other pages will time-out as normal. exposing the CSRF Token on an unsecured endpoint. eliminating CSRF Token validation on specific routes, or even altogether. removing session-timeout on all pages. This package adds the routes under genealabs/laravel-caffeine. If you are running 5.5 or above, remove the providers entry from config/app.php. This update changes the config file setting names. Please delete the published config file config/genealabs-laravel-caffeine.php if it exists, and follow the configuration instructions below. | lifetime value configured set in "config/session.php". | null will use the domain of the current application. | rename the URL used for dripping caffeine into your application. | will disable this check if you don't want to use it. | Drips are enabled via route middleware instead of global middleware. That was it! It will apply itself automatically where it finds a form with a _token field, or a meta tag named "csrf-token", while pages are open in browsers. 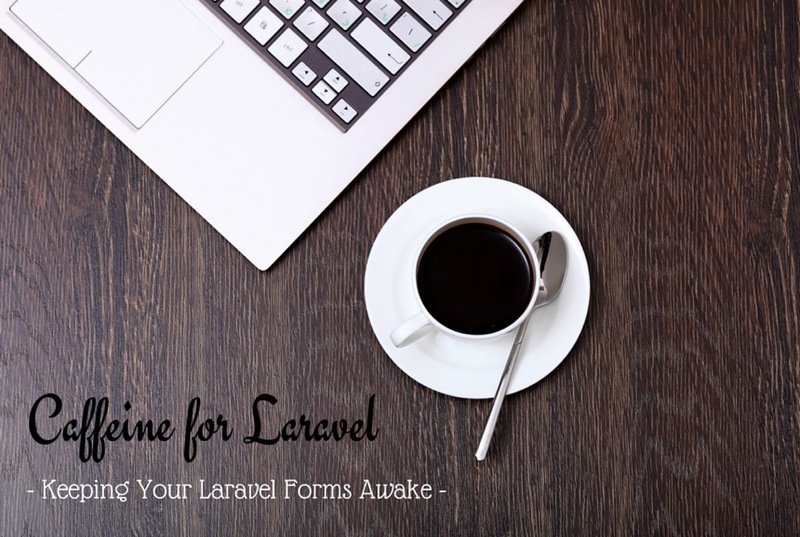 There are two methods to prevent Caffeine for Laravel from dripping to keep the session alive: disabling it in Blade using the meta tag method, or enabling route-middleware mode, and then only enabling it on routes or route groups. You can still use the route middleware method and apply it globally to all routes by editing app/Http/Kernel.php and adding it to the web middleware group. Although you should only use this option if you have a very specific use- case that prevents you from utilizing the default global middleware option. This will only have effect if the page includes a form. If not, the page will not caffeinate your application anyway. ✅ Achieve as close to 100% code coverage as possible using unit tests. ✅ Eliminate any issues identified by SensioLabs Insight and Scrutinizer. ✅ Be fully PSR1, PSR2, and PSR4 compliant. ✅ Include comprehensive documentation in README.md. ✅ Provide an up-to-date CHANGELOG.md which adheres to the format outlined at http://keepachangelog.com. ✅ Have no PHPMD or PHPCS warnings throughout all code. Please observe and respect all aspects of the included Code of Conduct https://github.com/GeneaLabs/laravel-caffeine/blob/master/CODE_OF_CONDUCT.md. When reporting issues, please fill out the included template as completely as possible. Incomplete issues may be ignored or closed if there is not enough information included to be actionable. Please review the Contribution Guidelines https://github.com/GeneaLabs/laravel-caffeine/blob/master/CONTRIBUTING.md. Only PRs that meet all criterium will be accepted.